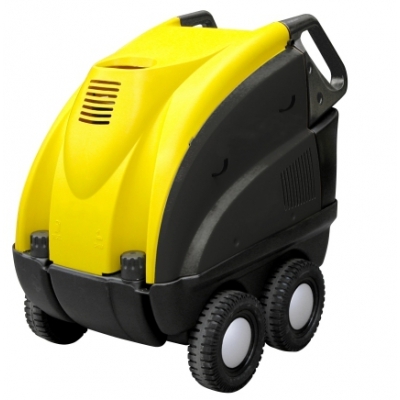 This compact and modern high – pressure washer is the latest in functional design that offers outstanding and long lasting performance. Three ceramic coated pistons, brass axial pump head with built-in by-pass valve. Delayed and 24 V-low voltage Automatic Stop System. Adjustable detergent delivery with built-in tank for indirect suction. Ergonomic handles and impact resistant covers.